First of all, BioBlitz was a huge success! Thanks to the over 75 people who came out to learn about our Glen Echo Ravine. 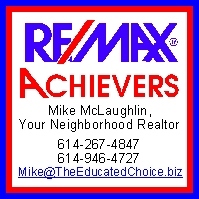 And a big THANK YOU to Mike Graziano for organizing this event. His boundless enthusiasm got us all going, my husband included, who acted like a kid in a candy store with all the insects he found! I am waiting on the tally sheet from Mike and more photos from others who attended; once I get that, I will post more. We found so many things in the ravine that we weren’t expecting – and they were all good. This is an adult white-footed mouse that was caught and released. The best part about the BioBlitz was that I got to go on my first bird walk. Pete got me a great pair of binoculars as a present, and I finally got to use them. I must admit, it takes a bit of practice to sight in a bird with those things! I finally got the hang of it after missing the first bird. 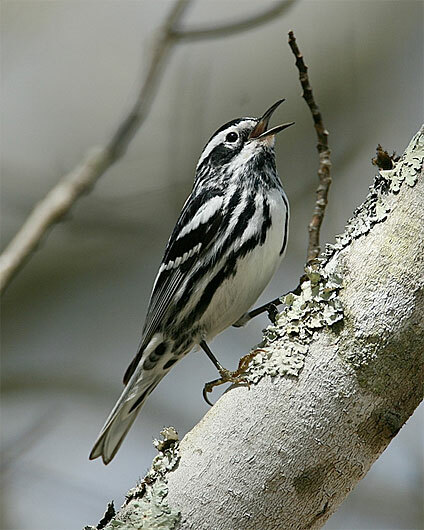 I saw a Black and White warbler as well as a downy woodpecker. Oh, and some bird with yellow on his (or her) head that I don’t recall the name. Some birder I’m going to make! The warbler was something else as I’ve never seen a bird anything like it. I have a thing for birds that hop. All of the birders were so helpful in pointing the little critters out to me as well as giving me tips on how to find the birds and then pull them up with my binoculars. (They are so small! So fast! And they blend in with everything! And they don’t sit still!) I plan on trying to head out again with the Glen Echo Bird Club this weekend. Having the right pair of binoculars really made a difference (once I got the hang of using them). Mine are Eagle Optics Denali 8 x 42. The first number is the magnification while the second number is the diameter of the big lens, which indicates brightness. Doing a little research led me to believe that a 7-10 magnification and a lens size between 35 and 50 is pretty good. You also need to take into consideration the weight, fit, close-focus distance and field of view. Having used binoculars that were less than perfect, I can really say that buying the best you can afford is sound advice. On a final note about birds, I put out the hanging ferns on my front porch, all ready for Mama and Papa Finch to build a nest in. 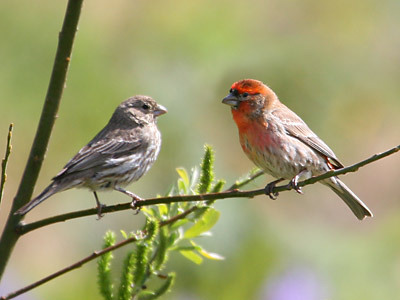 Papa Finch has been singing up a storm outside our bedroom window. I know that most likely, I will once again have my heart broken when some of the little guys don’t make it. And I am certain there will be at least one trip to the wildlife center off of Sawmill, baby bird in hand. Yes, it’s how things go in the animal kingdom, but that doesn’t mean I have to like it. In reading my latest mystery book, I came across a word that caught my eye: “vagaries”. I had a vague notion of its meaning, but went on-line to be sure. According to Merriam-Webster, it means “an erratic, unpredictable, or extravagant manifestation, action, or notion.” What a perfect word to describe this winter weather we’ve been having. My poor rose bush has sent out shoots of green, only to have them turn to black from the cold. The spring bulb garden has sprung, with one lonely flower already wilted and spent. The Helleborus Orientalis (Lenten Roses) in my side garden haven’t bloomed at all, most likely wondering if winter will ever arrive for good. Snow blowing sideways on Sunday, and tomorrow the high will be 57. The vagaries of weather indeed! Last week, the USDA set forth the revised planting zones for the United States. These are the 13 zones that help gardeners decide what plants should survive in their yards. 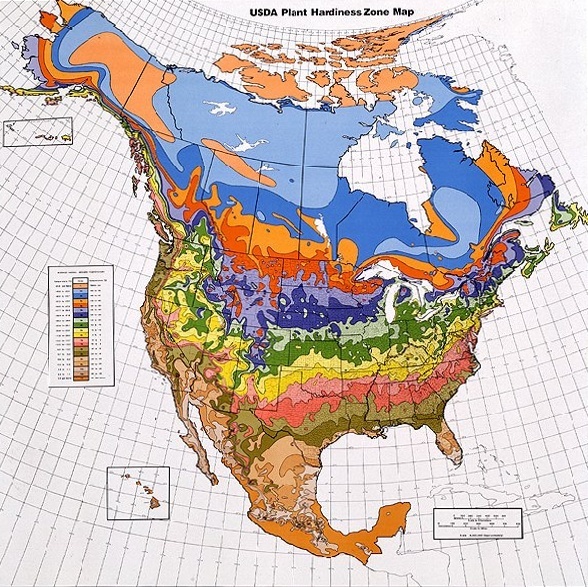 The previous 1990 map (see picture below) used temperatures from the period 1974 to 1986 while the new map uses temperature from between 1976 to 2005. Ohio, which was split between zones 5 and 6, now is mostly in zone 6. The USDA is distancing itself between the changes to the map (where everything seems to be shifting northward) and global warming. Granted, the latest map uses temperature extremes and better weather information such as acknowledging cities are warmer than rural areas and large bodies of water can affect temperatures, making the data used in 1990 less sophisticated than what was used in 2012. Personally, I think it’s just another indication that our planet is changing. That’s why it’s so important to do whatever we can to reverse the trends. So, what do you think about the revised USDA planting zones? As Pete and I were running some errands yesterday, the usual comment about how hot it was outside (and humid!) came up. I mentioned to Pete that although it has been very hot and humid (with temperatures over the norm for most of July), we weren’t in drought conditions like other parts of the country, that we had received a lot a rain as well. So imagine my surprise when I read “Today’s Weather” in Sunday’s Dispatch (hoping to see something without the words “hot” and “humid” in the forecast) that the Water Report for Central Ohio was “Dry,” meaning: “Use water only as needed.” I was also surprised to read that with the exception of Griggs Reservoir (with a whopping surplus of .017 feet), all the other reservoirs were below normal. Now granted, the amounts weren’t huge, with -1.41 feet below normal being the lowest level at Hoover. But I had been certain that with all this rain, those levels would have been above normal. 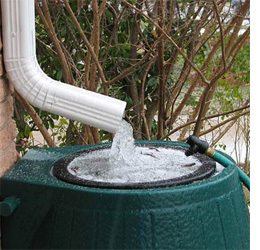 One very simple thing that homeowners can do to conserve water is to collect rain run-off. I’ve mentioned that Pete and I have two rain barrels. They’ve been pretty full for most of the summer and are used to water our vegetable garden, newly-planted greenery and the plants on our porch and inside the house. This water is especially perfect for our indoor plants because it doesn’t contain dissolved solutes like city water does which can’t easily leach out. The other downspouts that we have are directed into several rain gardens, keeping much of our water out of the storm water system. In addition to rain water, we try and collect other “waste” water from the house: the water from the cat’s water bowl, and the water that runs while we are waiting for the shower to heat up. We use buckets to save this water to add to the rain barrels or water outdoor plants because any solvents in the water will leach out whenever it rains.